For 600 years, the Forbidden City, with its vermilion walls, labyrinthine passageways and sloping tiled roofs, has stood in the heart of Beijing as the ultimate symbol of power, the inner sanctum from which authority emanated across a vast land. It is, perhaps, the last place one would imagine as a base for the overthrow of the Chinese Communist Party. The treasonous-sounding slogan instantly set the Chinese Internet aflutter, spreading as quickly as court gossip. No officials at the ceremony seemed to notice the mistake. 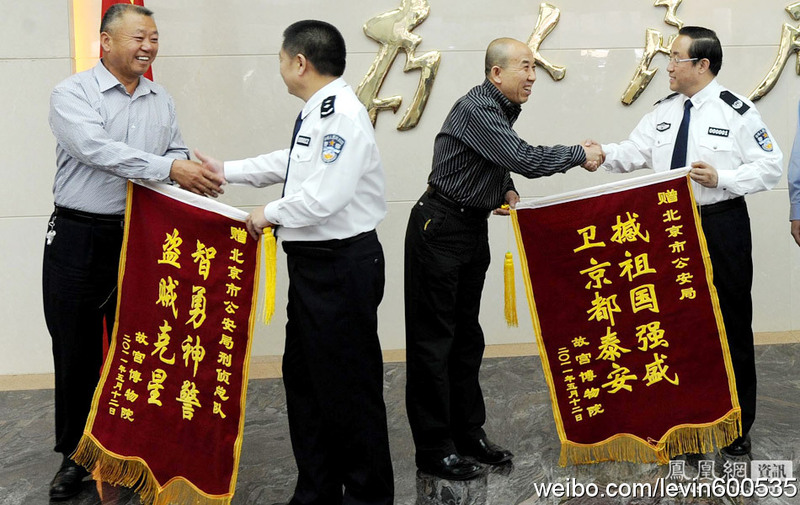 Ji Tianbin, vice director of the Forbidden City, handed out the banner, and Fu Zhenghua, head of the Beijing police, was in attendance. By Monday, photos of the ceremony had ignited derision across the Internet. Many Chinese mocked the literacy level of the person who had designed the banner, and Chinese news organizations demanded an explanation. It added that the security department had defended the mistake and had refused to apologize. Officials have “investigated the incident and criticized and educated the security department,” the managers said. The statement seemed a more honest appraisal of the situation than the response that one official surnamed Liu had offered Legal Mirror, a Beijing newspaper. Mr. Liu said over the weekend that no mistakes had been made and that an “expert” had looked over the wording. His defense was mocked in tens of thousands of online postings. The episode of the banner was the latest in a series of humiliations this month afflicting the most hallowed edifice in all of China. The first was the case that led to the Beijing police officers’ being thanked with the banners; on May 8, a thief stole rare bejeweled handicrafts from the early 20th century that were part of an exhibition of objects from a private museum in Hong Kong. The theft took place even though at least 1,600 antitheft alarms and 3,700 cameras monitor the Forbidden City after it closes to the public at 5 p.m., Legal Mirror reported. Even more scandalous were promotions for a luxury private club in the Jianfu Pavilion, a part of the Forbidden City that has been restored through money from a preservation fund in Hong Kong. Membership in the club, supposedly limited to 500 people, costs $154,000 a person, according to a microblog posting last week by Rui Chenggang, an anchor for China Central Television. Officials at the Forbidden City quickly denied the existence of any such club, but Beijing News reported on Sunday that an opening ceremony had already been held. Chang Lingxing, a spokesman for the Forbidden City, said in a telephone interview on Tuesday that the management office had hired a private company, the Beijing Forbidden City Cultural Development Company, to organize lectures and salons. Instead, the company had started handing out “membership sign-up forms.” The management office has told the company to stop, according to a written statement. A version of this article appeared in print on May 18, 2011, on page A7 of the New York edition with the headline: A Call for Revolution? Probably a Typo.